Will Apple Watch 1 Bands Work With Apple Watch Series 2? Do Bands for Apple Watch 1 fit Apple Watch series 2? Yes, straps that were made for the Apple Watch 1 will fit the Series 2. Apple kept the same exact connector on the bands for Apple Watch Series 2. The case of the Apple Watch 2 is also the same size as the Apple Watch 1. This means that any strap that was made for the original Apple Watch will fit your Series 2! This question was also answered in Apple's communities as well. Yes, they most definitely do fit! I had the original Apple Watch and just bought the Series 2, all of my straps and bands are still compatible. Of course. All the bands now sell are compatible with series 2 and 1. 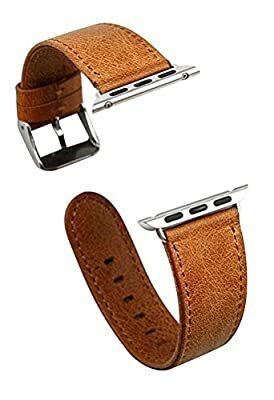 Of course.I I recommend a jisoncase watch band with you.it's suitable for apple watch series 2.,this band i feel pretty good.